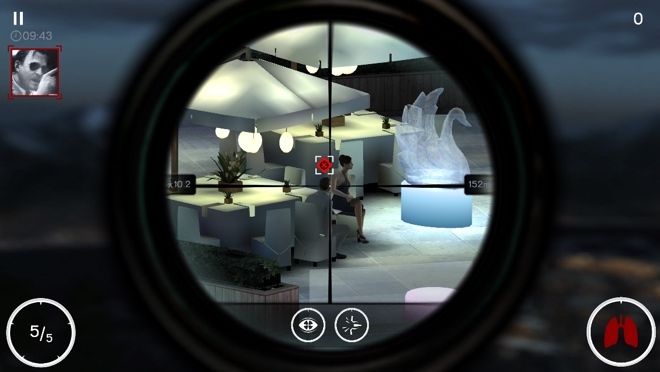 Like Hitman Go before, Hitman: Sniper is made from the grounds up for the mobile platform and it shows. The game is now available on iOS and Android for $4.99. Let’s take a look. 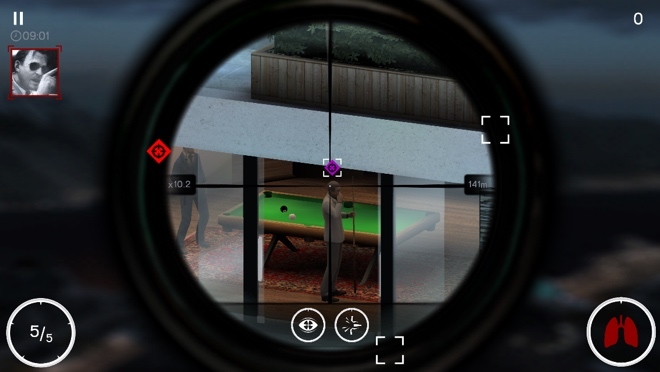 In Hitman: Sniper, you are Agent 47 looking over a villa in Montenegro. You are given mission directives, requiring you to assassinate someone in the villa. The initial missions need you to take down one or two guys but later mission involve killing off people in creative ways, such as hitting them near the jacuzzi, killing them by shooting the burning lamp next to them, blowing the fuse box next to them, etc. Sometimes you are required to kill multiple enemies, at times you have to reach a particular score, which again involves killing as many people as possible in the given time. Each mission has one key objective, involving assassinating some high value target. Killing that person will start a quick countdown of a few seconds before you are extracted. Thus, you have to make sure you complete all your other objectives before taking out the main target while ensuring the main target does not leave. Your best bet is to hit the target right in the head for a quick, clean kill and get the maximum points. Hitting on the body usually does not kill the person immediately. If you miss the person is alerted. If you miss repeatedly or are too aggressive with your firing the security is alerted and the main target is likely to flee earlier. You are personally in no danger since you’re like a mile away but it does mean the mission could come to a swift end if the main target escapes. Other than the main targets there are also a lot of security guards to take out, which also net you a lot of points to make your high score objective. There are civilians as well although you are required to generally avoid them unless they are are a threat and will alert the security. Now here’s my main problem with the game. The setting in which the game takes place never changes. All 150 missions happen in the same place and you are essentially taking down the same people. All that changes are your mission objectives and the different ways you are required to take down targets. While the shooting is fun for the first dozen times or so, it also quickly becomes old. Sure, as the game progresses the challenges become more and more demanding but taking down the same people in different ways isn’t all that exciting. 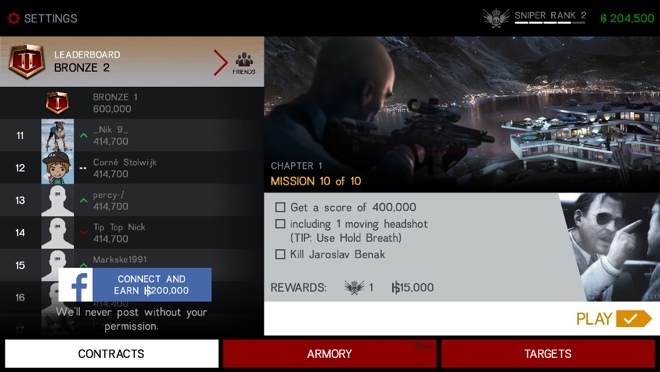 The game features an in-game currency, which you earn for completing missions. 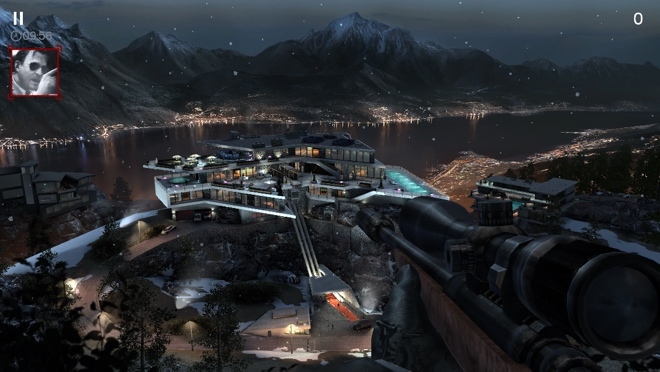 The game also has multiple sniper rifles, which you unlock as the game progresses. Despite being a paid game, though, quite a lot of the stuff is hidden behind a paywall. You can continue playing and unlock as you play but if you want to unlock stuff right away you’d have to pay real money. The controls in the game are too easy. You tap once at a particular point to quickly zoom in using the scope. Once in the scope view you can pinch to zoom to get in closer. To shoot, you just have to tap within the scope. Tap outside to zoom out again. There is also a button to hold your breath for a few seconds, which stabilises the gun but using this costs you a few points and isn’t always necessary, especially for still targets. The guns also have slick gestures to reload. 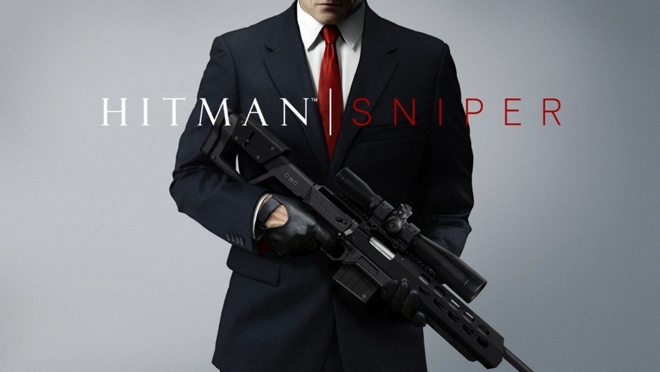 Hitman: Sniper is a pretty good looking game and runs well all the time. The sound effects and the main theme music are also good. 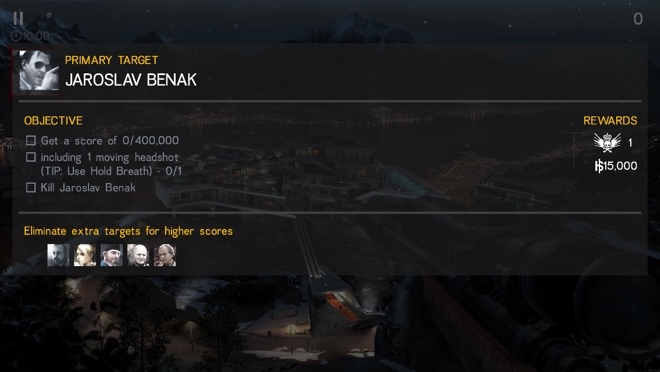 At $4.99, Hitman: Sniper is not a particularly expensive game but it’s not particularly fun either. There is some fun to be had here initially for sure but then the repetitive nature of the game takes over and you start losing interest. If you don’t mind spending $5 for a few hours of gameplay then it’s worth a shot but I’d suggest picking it up during a sale.